During the month October I will help my good friend Julie Joliceur (director) at her Residency in Italy and work on my own projects in the Tuscany landscape. 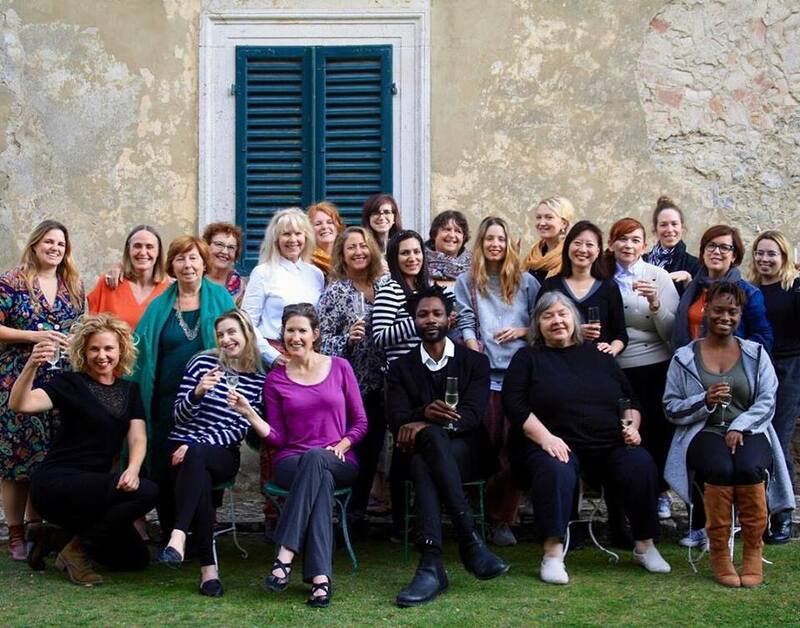 Together with our Residency team* we will host 20 wonderful writers and artist from USA and Canada. Two full weeks of isolated artistic time with one-on-one sessions, conversational exchange, artist talks, nightly cocktail hour and great dinners, plus a quiet, beautiful space to get away and focus. The Lemon Tree House is an artist residency program designed to encourage the creative, intellectual and personal growth of emerging and established artists, musicians and writers in beautiful Tuscany. The aim is to support creative process in the unique and historically rich environment, to allowed devoted time, dialogue and space for creative work, and to provide interesting opportunities for cultural exchange and development. Writers and artists have the best of both worlds- the freedom to work in peace during the day, with the option to meet up with the group for cocktails, dinner and craft talks with the featured Artists and Writers-in-Residence in the evening. Located in a tranquil hamlet in the Cetona foothills, residents have access to the full grounds, as well as a workspace in their private rooms. *Lemon Tree house team fall 2018: Julie Joliceur (director), Sarah Cale (artist), Ryley O’Byrne (artist/writer), Rosa Rankin-Gee (writer), Erinn Beth Langille (writer/programming), kayt Mathyous (chef). Special guests Cheryl lu-lien tan (writer) and Michael Salu (artist). And 20 wonderful writers and artist from USA and Canada. Whether you need that quiet time to complete a project, or hope to launch a new idea, The Lemon Tree House Residency is a perfect way to explore the creative process. At The Lemon Tree House there is plenty of solitude in which to work, with the benefits of like-minded company in what we know can sometimes be a rather isolating pursuit.